St. Francis of Assisi who renounced all worldly pleasures for Christ and proclaimed "My God My All" is an inspiration to all men and women of all times. He and his followers spread their way of Gospel life throughout the world. Towards the end of 19th century, the fragrance of Franciscan spirit diffused in Kerala and the Franciscan Clarist Congregation (F.C.C.) was formed on 14th Dec. 1888 at Changanassery as a fulfillment of the ardent desire of eight pious women to lead a genuine Franciscan life. Then F.C.C. 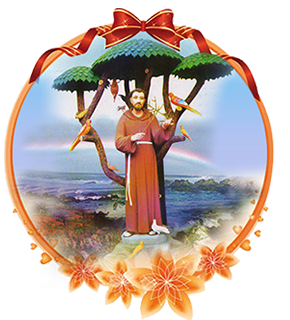 slowly flourished and developed as independent Diocesan Religious Communities in the various dioceses of Kerala. In Thrissur diocese, F.C.C originated in 1910, the graceful year of the birth of St. Alphonsa. The congregation was raised to pontifical status on first March 1973. The unification of congregation was achieved by sincere efforts of our first Superior General Rev. Mother Maurus & very Rev. Fr. Hippolytus Knnungal OFM. Cap. After unification, we had our provincial house at Thrissur.